Sabrin, a 16-year-old patient from Khan Younis who suffers from thyroid cancer, was called for a security interview causing her to lose her appointment in Maier hospital in Israel on the same day, where she was to receive radioactive iodine treatment that is unavailable in Gaza, a World Health Organization (WHO) report said Monday. Delays in radioactive iodine treatment for cancer can lead to recurrence of the disease and metastasis and can triple the probability of complications if more than six months after surgery, it said. In its monthly report on referral of Gaza patients to hospitals in Jerusalem, the West Bank and Israeli, WHO said five male patients were denied permits to cross the Israeli Erez checkpoint between Gaza and Israel. It said 115 patients - 37 females and 78 males (8.54% of total applicants) - received no response to their applications, including 17 children, which delayed their medical treatment. In addition, a 24-year-old male patient with a hearing disorder was detained by Israeli security forces when he appeared for a security interview at Erez on November 14, after applying for a permit. Sabrin has been under medical care since she was 12 for a prominent goiter from an enlarged thyroid gland, said WHO. On July 23, Sabrin underwent surgery in the European Gaza Hospital for removal of her thyroid gland, which on biopsy revealed papillary carcinoma of the thyroid. After her post-operative condition stabilized, she was referred by her oncologist for a total body iodine scan (WBIS) and radioactive iodine ablation (RAI). Sabrin received in October a health ministry referral with financial coverage with a hospital appointment date of November 3 and immediately applied for a permit to cross Erez. On November 3, she was called for a security interview, but en route, at the office of the Palestinian coordination office, she was informed that her name was not on the list for interviews. She returned home with her parents. The Ministry of Health arranged for a new hospital appointment for Sabrin for December 22 and applied again for her for a permit to cross Erez to reach Maier hospital in Israel. The Palestinian District Coordination Office reported that Sabrin was finally granted a permit on December 23, five months after her surgery, and 82 days after applying. She crossed Erez on the same day and travelled to Maier hospital for her treatment. 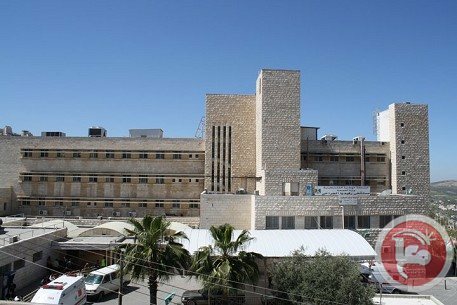 Doctors at the Rafidia Surgical Hospital in Nablus shut down operations for two hours on Sunday morning in protest against "punitive decisions" made by Palestinian Authority health minister Jawad Awad, doctors said. The strike was joined by several public hospitals in Salfit, Qalqiliya, Jericho, and Jenin, where doctors shut down operations for two hours in solidarity with their colleagues at the Rafidia hospital. Mahmud al-Ramahi, a doctor who works at Rafidia, told Ma'an that all workers in the hospital including doctors had decided to shut down all clinics and services planned from 8 to 10 a.m., although exceptions were made for humanitarian and emergency cases. The move came in protest against "punitive decisions" that the health minister has made against doctors, including a decision banning doctors who work in government-run hospitals from working in private clinics. Al-Ramahi added that doctors were also striking in protest against the initiation of a disciplinary committee against Dr. Majdi al-Jalad, who was charged for "disrupting work," putting lives of citizens "in danger," and "harming the prestige of the Palestinian National Authority." Al-Ramahi highlighted that the PA health minister had also forcibly transferred Dr. Samer Abu Eida, a member of the doctors' committee in Palestine Medical Complex in Ramallah, to Rafidia governmental hospital in Nablus. The doctors called upon the health minister to reverse these decisions. The relief committee at the Arab Doctors Union has warned of a health disaster in the Gaza Strip as a result of the worsening humanitarian conditions in the besieged enclave. The committee said in a statement on Saturday that the continued shortage in medicines, medical disposables, and fuel for hospitals was putting the lives of around two million people at stake. 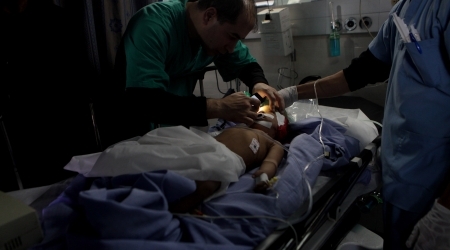 The World Health Organisation (WHO) has expressed concerns over critical shortages in medical supplies and electricity for Gaza health services -- shortages which are putting Palestinian patients' lives directly at risk, the Alternative Information Center (AIC) has reported. In a recent press release, WHO notes that 30% of medicines and 50% of medical disposables are out of stock in Gaza's central drug store. This means that patients are, too often, not receiving the appropriate kind or dosage of medicine. And, with daily electric outages averaging at 14 hours, in addition to the high cost of diesel fuel, generators supply only the most pressing of needs (e.g., intensive care units). On the International Day of People with Disabilities, Palestinians in Gaza marched in solidarity with over 100,000 disabled fellow citizens, who are regularly denied basic services. According to the Palestinian Center for Human Rights, a law passed in 1994 requires that the government provide people with disabilities access to education, employment, rehabilitation, and health services. 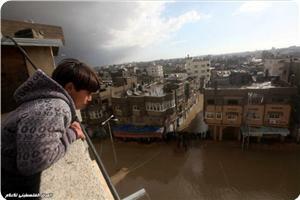 However, the law has not been implemented on a grand scale in Gaza or the West Bank. responsibilities and point the finger at one another. On the International Day for People with Disabilities, the PCHR called for "an immediate end to the ongoing internal division that has had a catastrophic impact on the rights of disabled persons in particular." 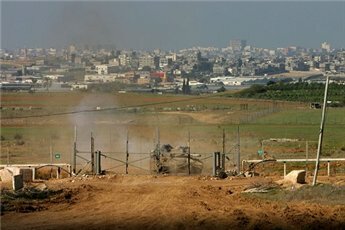 The rights organization also called on the international community to pressure Israel to stop "human rights violations" that cause disabilities, in clear reference to the Israeli offensives in Gaza in 2008-2009 and 2012 which killed hundreds and injured thousands of Palestinians. Palestinian lawmaker Jamal Al-Khudari, head of the popular committee against the siege, appealed to the ministers of health in all countries of the world to save the health sector in the besieged Gaza Strip and urgently provide its hospitals with medical supplies. In a press release on Sunday, MP Khudari said that 140 types of medicines used in intensive care, emergency and neonatal units, and many other health sections became unavailable in Gaza hospitals. He added that all hospitals also ran out of 360 medical disposables, especially those used in operating rooms. The lawmaker also highlighted other problems affecting the health sector, including the failure of many patients who need to receive medical treatment outside Gaza to travel because of the closure of crossings. He added that many medical devices used in hospitals also sustained malfunctions as a result of the repeated and sudden power outages. He called on the international community to immediately move to end Israel's blockade, which amounts to a mass punishment against the population of Gaza. Doctors use a mobile phone for light as they treat a child critically injured during Israel’s attacks on Gaza last November. Three medical convoys -one Italian and two American- have Friday conducted check-ups and surgeries for a number of patients in Gaza European Hospital in southern Gaza Strip. A statement for the hospital released Sunday said that "the three convoys are comprised of Italian and American doctors specialist in Pediatric heart and backbone surgery. Director of the hospital Abdul Latif al-Haj said 110 patients were examined or went through surgery during the stay of the convoys. According to the statement, the Ministry of Health used to bring in foreign medical specialists to conduct complex surgeries, or ones needing equipment not available in the Gaza hospitals. In an honorary ceremony held on Sunday, Director General of Gaza Public Hospitals Yusuf Abu al-Rish thanked the visiting members of the delegations to Gaza, hoping that repeated like visits contribute to ending the blockade and allowing normal access of medicines and medical supplies to Gaza. He stressed the need for closer cooperation with the medical international staffs, and strengthening the health experience exchange in order to boost the efficiency of the Palestinian health sector. It's noteworthy that Gaza hospitals depend in a significant way on humanitarian convoys to handle quality surgeries, given the inadequate medical equipment of the public hospitals. 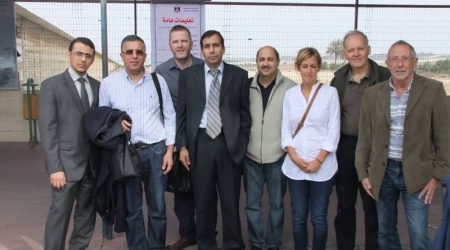 A British medical delegation specialized in kidney transplantation arrived in the Gaza Strip on Sunday, Palestinian Ministry of Health reported. The delegation , headed by Dr. Abed al-Qader Hamad,the head of organ transplantation unit in Liverpool Hospital, will conduct three kidney transplantation operations for patients in the coastal enclave. Hamad said that they will organize information system regarding kidney transplantation in Gaza hospitals in addition to using Plasma exchange technology for patients. The Palestinian Ministry of Health has conducted cooperation treatment with the Palestinian Doctors Association in Europe in the beginning of this year to exchange experiences.